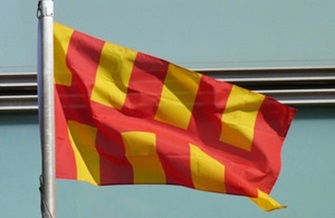 Northumberland’s flag was included on the registry from its inception. 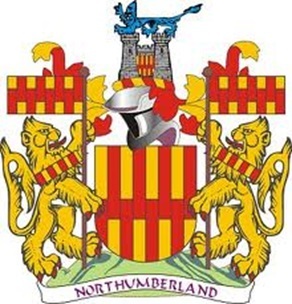 Strictly, the flag is a banner of the arms of the Northumberland County Council but its origins predate the council by more than a millennium and although it is not registered as a “traditional” design, Northumberland’s flag is essentially of ancient origin and certainly part of a local tradition. 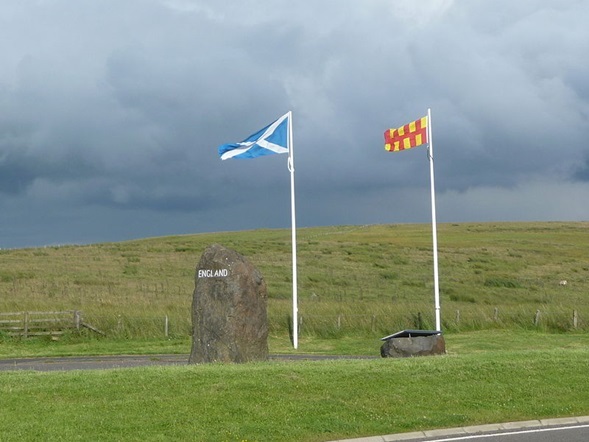 The 7th century King and Saint, Oswald, founded the kingdom of Northumbria by merging his domain of Bernicia with its southern neighbour Deira. 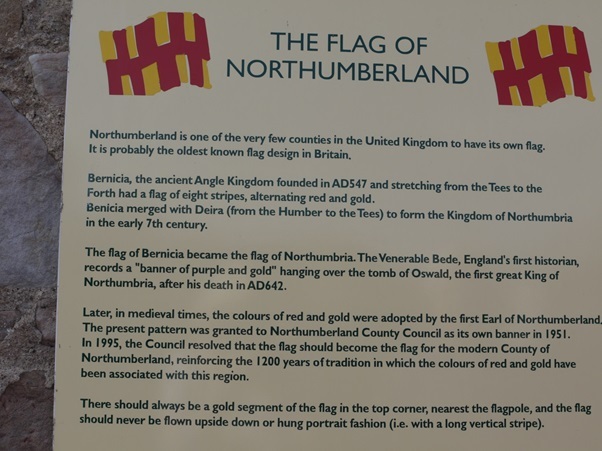 The Venerable Bede, England’s first historian, writing in his “Historia Ecclesiastica Gentis Anglorum” describes Oswald’s tomb where “…they hung up over the monument his banner made of gold and purple;” It is probable that this description caused the mediaeval heralds to assign arms of eight alternate stripes of red and gold (yellow) to Bernicia. 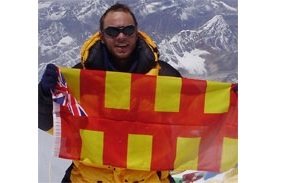 It is reported that in the Middle Ages the same colours were flown by the first Earl of Northumberland, Henry Percy. Notably, in his 1611 atlas of Great Britain, famed cartographer John Speed included a map of the Anglo-Saxon heptarchy. on the title page of the work. 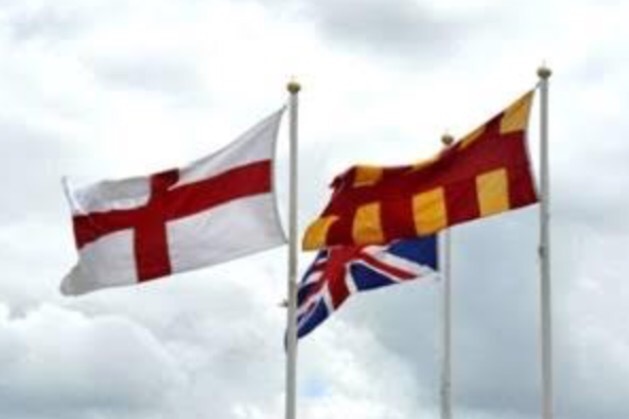 However, in the 1623 reprint of his 1611 work, “History Of Great Britaine”, Speed does include the striped emblem of Bernicia, alongside a lion for Deira (see also, the County Durham page) in quasi flag or banner form. 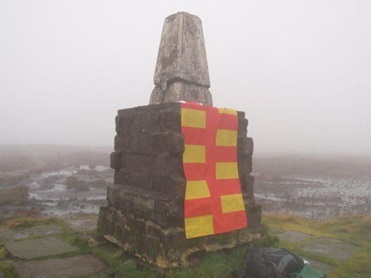 ; the red and yellow stripes in the lower half were then “counter changed”. 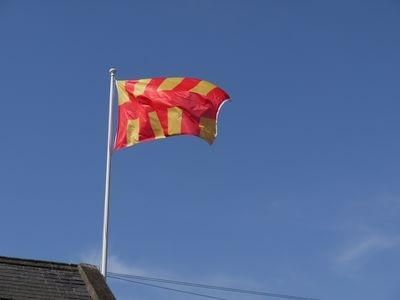 “The Northumberland flag has perhaps the longest history of any flag in the country and is still flown locally with great pride today. and it is sufficiently ingrained in the local culture to decorate bus stops! 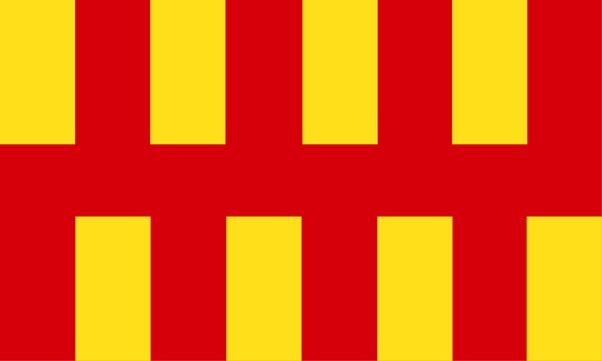 The Northumberland flag has also been fashioned into a number of products including badges, greeting cards, cufflinks and car stickers. on a rail bridge, marking the boundary with Cumberland at left.